In 1990, the US government passed the Americans with Disabilities Act (ADA) to protect Persons with Disabilities (PWDs) against discrimination, especially in public places. The law even includes guidelines on how to make city and neighborhood sidewalks safe and accessible for PWDs. Surface textures of sidewalks must be firm and slip-resistant to help PWDs in wheelchairs pass over the sidewalk safely. Large sidewalk paving contractors need to make sure that any concrete finishing meets this ADA requirement. Plus any grates set into the sidewalk should be no further apart than half-inch. This is to prevent wheelchairs and other mobility vehicles, as well as canes, from getting stuck in the inset. When designing or rebuilding sidewalks, it is best to follow the ADA guidelines on walkway width. The sidewalk must have enough room for two wheelchairs to pass side by side. It should be even wider if it’s shared with cyclists. Maintenance matters for walkway width, too. If you’re a property manager or Homeowners Association (HOA) officer, make sure sidewalks in front of your building or in your neighborhood are well-maintained. 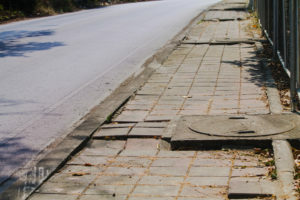 Cracks, potholes, and even large piles of debris make sidewalks unsafe and too narrow to navigate. Because of the need for drainage, sidewalk designs typically call for slopes. Excessive slope difference between gutter and ramp, however, can cause a wheelchair to tip forward or flip over backward. The ADA guidelines recommend the rate of slope change to be at a maximum of 13 percent. Curb ramps provide an accessible route for PWDs to safely transition from roadways to curbed sidewalks (and vice versa). The slope of these ramps shouldn’t be steeper than eight percent. ADA-compliant ramps also have tactile paving or detectable warning (DW) surfaces on their edges. DWs indicate a hazard to blind users, informing them they’re about to leave the sidewalk or cross a roadway. Apart from having DWs, the islands or edges of a pavement (both on the sidewalk and in the street) should be aligned with a crosswalk. This provides directional guidance to PWDs, especially to blind, vision impaired, or low-vision pedestrians. Sidewalks are something most of us do not think about because we can easily avoid the hazards. 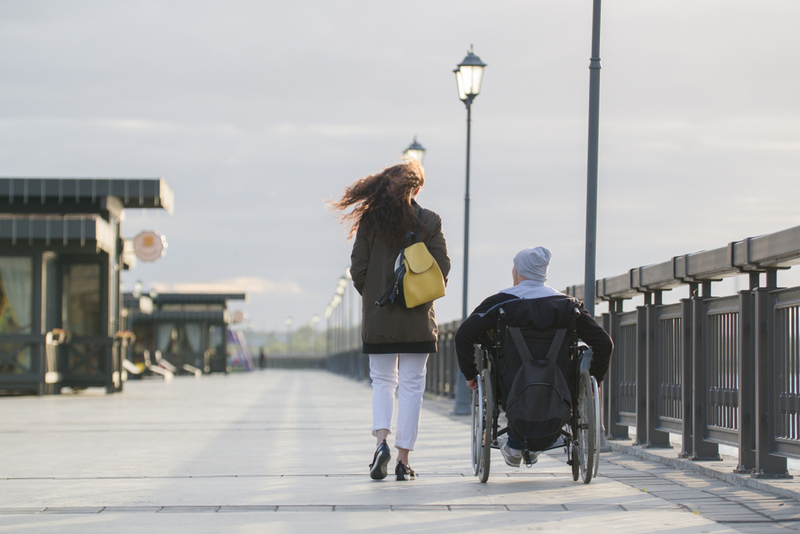 But if poorly maintained or not accessible, sidewalks pose great challenges and danger to anyone – especially to those in a wheelchair, with crutches, or using a cane. 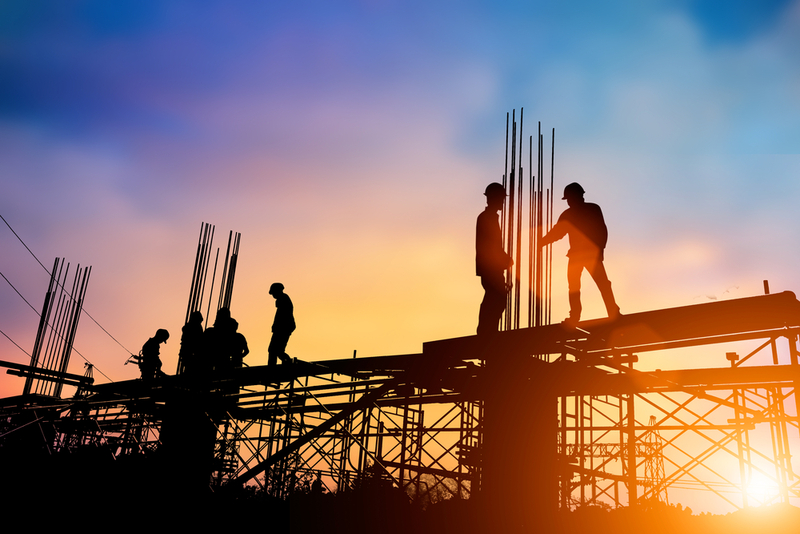 If you want to know more about building ADA-compliant sidewalks, call us today.